We had Spinach Artichoke Dip at Buffalo Wild Wings for the first time. 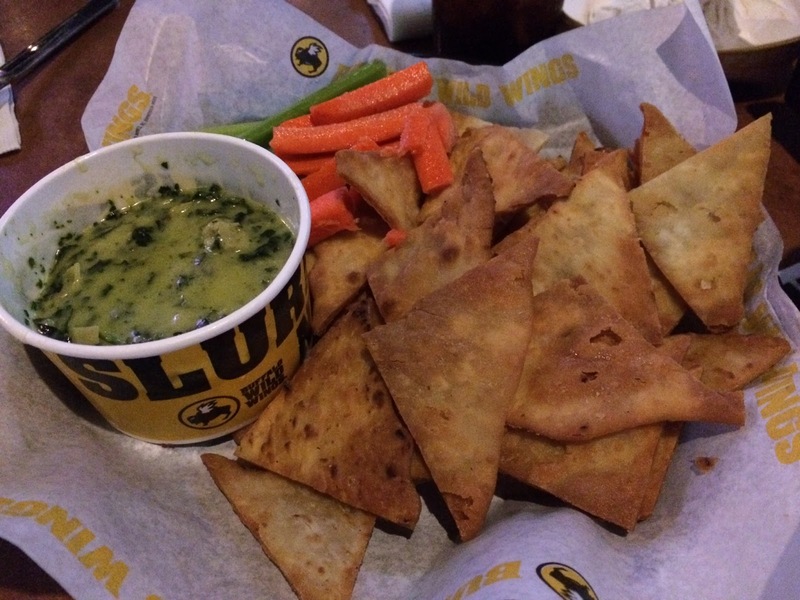 There's a cup of warm dip sauce made with cheese, spinach and artichoke. 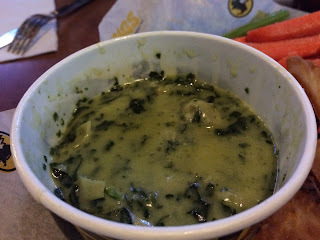 It had chunks of artichokes and diced spinach, and it had cheesy and salty flavor. The cheese flavor was so strong that I didn't really taste neither of the vegetables even though I see them going into my mouth. I started tasting only salty when I was eating this dip. 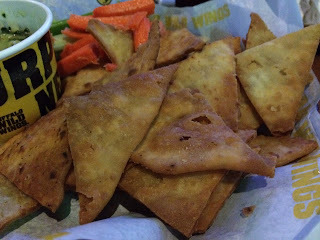 Pita chips are fried pita bread and they're golden brown and really crunchy. There're fresh carrots, celery and red peppers on the side. It's a great side to share and it's quite fulfilling.